If you love plants and want to incorporate this decor inside your home then botanical prints are perfect for you. They look classy and can stand the test of time, which means you don’t have to waste money changing your decor every so often. 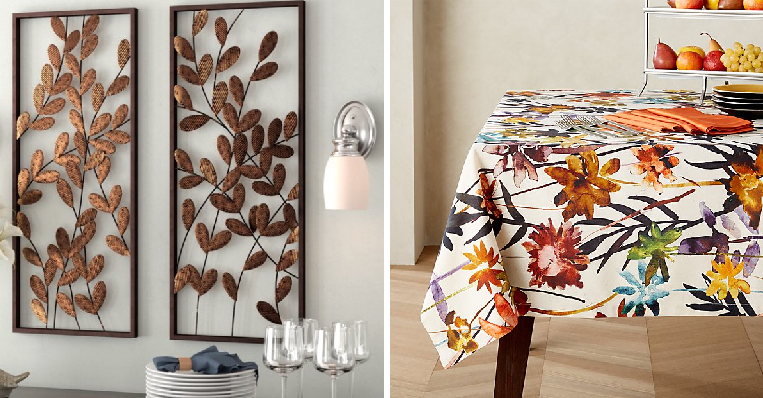 Dress up your home decor with some of these gorgeous leafy prints. This armchair is a great example of using botanical prints the right way and can be used as an accent piece in your living room, depending on your decor. You can make it look even warmer and welcoming by accessorising with some nice throws or cushions. If you want to makeover your home but don’t want to splurge so much then we recommend that you dress it up with some fancy botanical print pillows instead. Mix and match with a few botanical prints to provide depth and make it more interesting. You should always dress up your dining table with a gorgeous runner so that it will always be ready when you need to entertain guests. There’s always the options of putting other types of decor to complement the table runner as well. Having a beautiful piece of wall art in your home is a great idea and getting a botanical print one is a classic and timeless idea. This metal sculpture is trendy and will look good on any part of your home. Inject a little colour into your home with this vivid tablecloth that has pretty blooms painted on them. Every meal that you have on this awesome tablecloth will be a memorable one. You don’t even have to use much decor to dress up the rest of your table as this is striking enough.